Mérida is a romantic, Bohemian city that proudly displays its splendid past. Regardless of the reason for your stay, don’t miss a leisurely stroll along Paseo de Montejo, one of Mérida’s main avenues, named after Francisco de Montejo y León (el Mozo), conqueror of Yucatán and founder of the city. It contains a tourist section, beginning at Calle 49, and a commercial section, Prolongación Paseo de Montejo, from Monumento a la Patria northward. The best way to explore the tourist section is on foot. During your walk you will be able to feel the similarities to elegant French boulevards, enjoy the huge trees which provide the street with the “lungs” of the city center, and admire the emblematic buildings and monuments, as well as the mansions that today house boutique hotels, shops, museums, and bars. Start your tour by having a breakfast of Yucatecan snacks and fresh juices in the Mercado de Santa Ana (Calle 47 at 58, Centro), only a block from the beginning of Paseo de Montejo. There you can also visit the craft shops and market located in the park of the same name. Then walk toward the “Remate de Montejo”, the beginning of the avenue, where you can enjoy “Noche Mexicana” every Saturday night at 8 pm, with regional music and sale of crafts and food. Continue walking north on the west side of the avenue and you will see the “Casas Gemelas” (twin houses), with clear French tendencies, and balconies and doors worthy of a photograph. Keep walking toward the Museo Regional de Antropología (regional anthropology museum) in the Palacio Cantón, one of the most splendid buildings in the city. Don’t forget to step out onto the balcony to enjoy a lovely view. 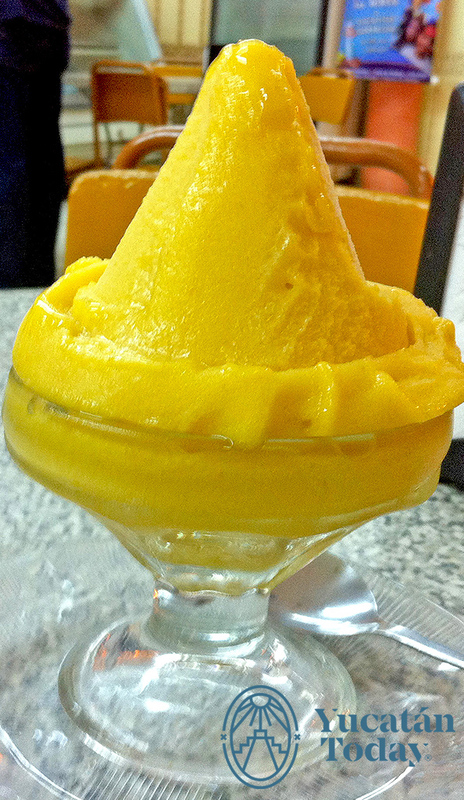 Cross the street and cool off with a “champola”, an ice cream, or a dessert at the famous Dulcería Colón. Keep walking up to Calle 33 and cross again to visit Quinta Montes Molina, a house-museum with the original furniture from 1915. They offer guided tours in English and Spanish, with reservations. Keep walking and you will see buildings that will transport you to another era: Casa Peón de Regil, Italian in style with a carved stone façade, and Casa Vales, majestic and symmetrical. You can find an architectural discovery at almost every step. Continue northward until you reach Monumento a la Patria, at the third “glorieta” (traffic circle) of the avenue. It is unique in México; completely carved out of stone, work of Columbian sculptor Rómulo Rozo. It tells the history of the country with the official shield of each state, territory, and the Distrito Federal. Don’t forget to take a “selfie” there, in the afternoon or evening, while enjoying a fantastic view of Paseo de Montejo. On Sundays you can do this tour on bicycle (available for rent along the route) from 8 am – 12 pm and enjoy the art exhibits and mercados installed along the way. There are restaurants, bars, cafés, and pastry shops for all tastes; and its nightlife is fun too. 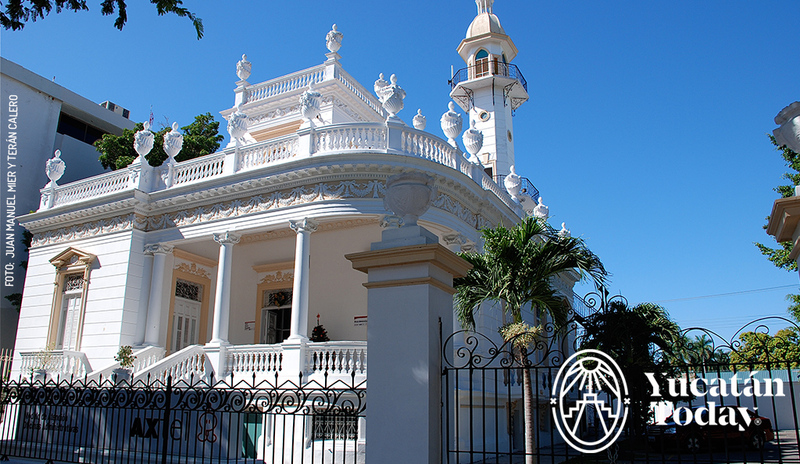 One day won’t be enough to discover all there is to see and do on Paseo de Montejo.